Squeaky Brakes – While this is not always an indicator of brake failure, if your brakes squeak and squeal it could mean that your brake pads are wearing down and need replaced. Vehicle Pulling To One Side – If your vehicle pulls to one side when you apply your brakes there is a high probability that you will need automotive brake repair such as adjustments or replacing brake calipers. Vibrating Brake Pedal – If you notice your brake pedal vibrating when you apply the brakes it could be due to misalignment but it may also be due to warped rotors, a serious issue. 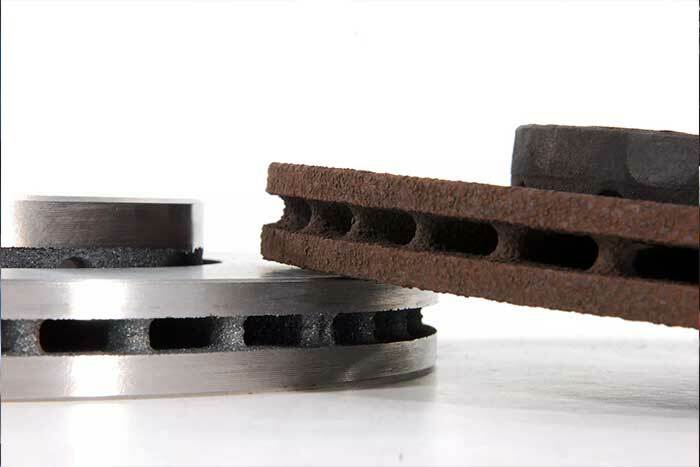 Grinding – If you hear a loud grinding sound when you apply your brakes, you need to find an automotive repair shop immediately because you have likely worn your brake pads out completely which can lead to severe rotor damage and even brake failure. If you notice any of these warning signs when you are operating your vehicle, finding a brake repair service is important. To make sure that you receive the best results possible for your vehicle you need to pay attention to the type of brake service shop you choose. While national chains may claim to have great deals, they typically have a lot of restrictions and are just used to get you in the door so they can overcharge you for unrelated repairs. Working with a locally owned and operated brake repair service in San Antonio will give you the customer care, quality work, and fair pricing that you need. With years of experience repairing brakes of all types, Industrial Brake and Clutch is a local San Antonio automotive brake repair service center. We pride ourselves on keeping our prices fair, we never upsell to try and squeeze every dime out of our customers, and our expert technicians take pride in providing quality vehicle repairs. If you need a quality shop for your automotive brake repair, you can count on, give us a call at (210) 661-9658.